I'm delighted to welcome Karen Hawkins back to The Romance Dish today. 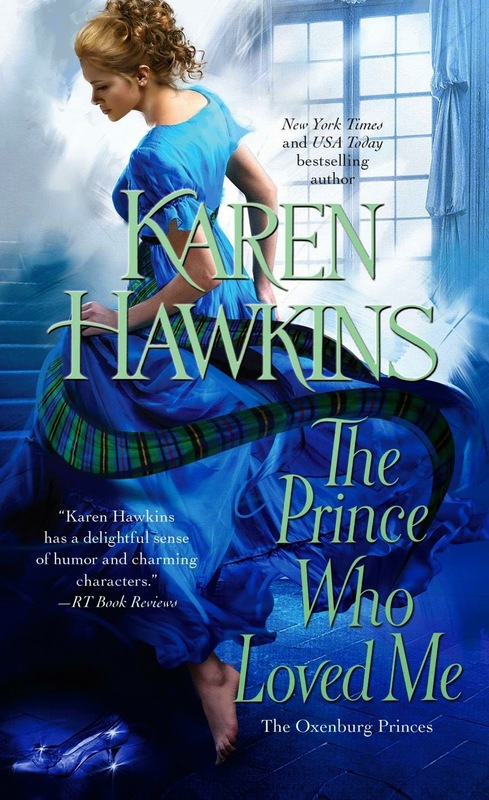 I recently read Karen's new book, The Prince Who Loved Me (it's out today!) and was completely charmed. I highly recommend it. Karen is the New York Times and USA Today bestselling author of more than 30 novels who is well known for her humor, her heartwarming stories and her love of shoes. 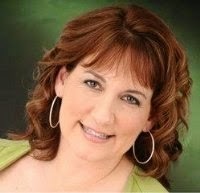 For more information about Karen, visit her website and connect with her online at Facebook, Twitter, Instagram and Pinterest. Hi Karen! Welcome to TRD. I just finished reading the first book in your new The Oxenburg Princes series. What an absolute delight! Please tell our readers what they can expect from The Prince Who Loved Me. Oh, thank you! I’m so glad you enjoyed it! I grew up loving Cinderella and her fairytale ending, and that gave me the idea for this book. I wanted THE PRINCE WHO LOVED ME to be all that a fairytale should be, but a little more … more humorous, and – hopefully – even more romantic. This book is labeled as Cinderella with a Scottish twist. What draws you to Scotland as a writer and why do you think the setting resonates so strongly with readers? I think writers love Scotland as a setting for the same reason readers do: braw men in kilts, lilting accents, lush green valleys with blue lochs set against purple snow-capped mountains, a castle around every corner . . . what’s not to love about Scotland? I’ve been four times now and wish I could go again. It’s the only place I’ve ever been where I feel homesick when I leave. Will the other books in the series also have fairy tale themes? Yes! I’m writing the second book now, and it’s based on Robin Hood. I’m still mulling over the third book, but I’ll let you know once I’ve decided. Bronwyn and Alexsey are so realistically drawn that they fairly leap from the page and their scenes together sparkle yet they are vastly different and would seem to be an impossible match. What is it about these two that convinced you they belong together? Without giving away spoilers, what is the one scene that you would never cut from the book? Where Bronwyn overhears Alexsey talking in the foyer with his friend and being a bit of a pompous arse, but instead of just being angry with the prince, she decides to make him pay for his impertinence. I won’t tell what that impertinence was, but I feel that scene shows the reader just how much Alexsey will have to grow before he’s equal to Bronwyn, and just how much of a match she is for him, too! Books have an important role in this story. What do you enjoy reading when you take time away from writing your own books? I read a little bit of everything. For fiction, I read more romance than anything else (Suzanne Enoch, Connie Brockway, Sabrina Jeffries, and Christina Dodd are some of my favorites), but I also love fantasy, thrillers, and mystery. For non-fiction, I love history books and biographies. Right now, I’m reading a biography of George Washington, which is simply fascinating as he was a figure during the Regency era, too. Your characters always manage to surprise me in some way. What would readers be surprised to learn about you? I’m glad to hear that! I hate being predictable. 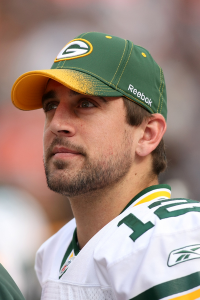 Readers would probably be surprised to find out I’m a huge Green Bay Packers fan even though I’ve never lived in Wisconsin. I have a cheese head hat, a jersey (GO, #12! ), Packers earrings and necklace – heck, I even bought stock in the team, so I can say I’m an ‘owner.’ As an ‘owner,’ I’m working on a proposal whereby the team comes to Fan Appreciation Day without shirts. Here in the northern hemisphere, we’re feeling the first stirrings of autumn, which means it’s time for some of my favorite things: homemade soups and stews, football, fresh-from-the-tree apples and Halloween. What are your fall favorites? Football, yes, yes, YES! And I love a good bowl of chili. Oh, and I’m a huge, HUGE fan of pecan pie, which is heavenly with a cup of coffee on a chilly night. Oh, and in the autumn, right at the peak of leaf season, I love taking walks while the leaves waft down. To me, nothing is more like a fairy wonderland than a fall-colored forest. Sigh. I can see I’m going to have to visit my parents in Tennessee soon. We don’t have such spectacular season changes here in Florida and I’m going to need an autumn fix. What’s next for the Oxenburg Princes? I’m currently writing the second book, THE PRINCE AND I, which will be out next summer. It’s a retelling of Robin Hood but with a fun twist, and is set in Regency-era Scotland. I’m making it full of swashbuckling, romantic scenes that pay homage to all of the Robin Hood movies I’ve seen – and now I can honestly say I’ve seen them all! Thanks so much for visiting with us today, Karen. Would you like to ask our readers a question? Thank you for having me! I would love to ask your readers for some suggestions as to which fairytale the third Princes of Oxenburg book should be based on. I’m making a list, and I could use some new ideas! Okay, readers, let's hear those suggestions! Karen is generously giving away a copy of How to Pursue a Princess and a Cinderella slipper key ring. Happy Release Day to Karen. Beauty and the Beast is my favorite fairy tale, so I would suggest a retelling of that story. Thank you, Jane! B&B is a true classic. And there's so much you can do with it, too! It's definitely on the list. Congratulations on your latest release, Karen! I love fairy tales retold and this looks like a great one! I'm voting with Jane. Beauty and the Beast has always been a favorite of mine! I love B&B. It was my daughter's favorite growing up, and mine as well. It has a lot of possibilities! How about Sleeping Beauty, Rapunzel, or the Princess and the Pea? Cathy, the Princess and the Pea is one you don't often think about. Interesting idea! BEAUTY AND THE BEAST or THE SNOW QUEEN - I love them both. Oooohh, Snow Queen! I haven't thought of that one in years. Now that's a romantic tale. Hmmmm. I'm with Cathy P. Those would be my choices! I have always loved Cinderella so I cannot wait to get a copy of "The Prince Who Loved Me." I know it will be a fabulous book. Connie, I hope you enjoy it! It really was fun to write - the characters just worked so well together. Hi Karen! Congrats on the release of the new book. I loved it! I'm still on the road so won't be on much today but I'll try to pop back in later. Hi Readers! Looks like we have a lot of Beauty and the Beast lovers here today. I'm a fan too but I do love a good Cinderella tale. LOVE Karen's books! I agree with several of the others, Beauty and the Beast. Thank you, K! B & B is such a rich story. You just can't go wrong with it! Stacyrose, I've been thinking about that. Teresa Medeiros wrote a book like that and I loved it. Hmmm ... I need to mull that some more. Happy release day, Miss Karen! I do love historical romances that are inspired by fairytales! I also agree with the majority about beauty and the beast choice. But I guess it will also be interesting to experiment on other fairytales such as The Ugly Duckling, Hansel and Gretel, Little Red Riding Hood, Pocahontas, and maybe even The Snow Queen? Sleeping Beauty and Rapunzel will be interesting too! :) I will look forward to your other books! Mary Ruth, there are a lot of wonderful fairytales, and yes, we all seem to gravitate toward a few of the same ones. I hope you enjoy the other two books in the series. Robin Hood is next, but I'm still mulling over the one after that. So many great stories! I like Red Riding Hood,and I see some one already said Repunzal,that would be a new one!...Adore your tales of any kind! made4, thank you so much! :) I love Red Riding Hood, too. HOW TO PURSUE A PRINCE is loosely based on that one - there's a Prince Wulfinski, a reddish-haired heroine, and a Lord Huntley for the huntsman. I had a lot of fun with it. I would be interested in writing a Rapunzel story, though. That would be challenging, but fun! grammabecket, Rumpelstiltskin is a new thought! Interesting ... yeeeessss. I could see that one. Thank you for the suggestion! I love all of Karen's books. The next fairly tale .... Sleeping Beauty. Anon, thank you so much! And oh yes, Sleeping Beauty is always a lovely, lovely tale. Trying not to repeat any so maybe The Frog Prince, Aladin, The Boy Who Cried Wolf or Rumpelstiltskin. Catslady, those are some fresh and different suggestions. I definitely need to look into some of those! Mary, that's always a good one. SO romantic. Thank you, L! The Little Mermaid would be fun to write ... hmmmm. And The Princess Bride - oh wow, such a great movie. One of my favorites. Congrats on your new release! I am very fond of Cinderella stories. How about Hansel and Gretel? Gretchen, that's such an interesting thought. It would take some work to make it romantic, but darn, it would be fun! Erin, I love exotic locations and wow, that would be such a colorful and rich story to write. I am so excited to read this! Maybe the next book could be on Rumplestiltskin?! Jessica, I hope you like it! Rumpelstiltskin is intriguing. I like how they made it work in ONCE UPON A TIME. Great interview! The Princess and the Pea is an underused one. So is the Three Little Pigs. Thank you, Quinn! You know, that one keeps tickling my fancy. I would like to try that one. I hadn't even thought about the Three Little Pigs, but that could be fun, too! Hi Karen, congrats on the new release! Loved reading your books especially your Macleans and Hurst Amulet series so I'm definitely adding The Prince Who Loved Me to my wish list! Since there's so many who suggested Beauty and the Beast already, how about something like Goldilocks and the Three Bears or Little Red Riding Hood for the third Oxenburg book? Anita, thank you so much for giving my books a look-see. I truly appreciate it. Those are some great suggestions and both are on my Top Ten List. Now, to make a decision ... that's so hard! So many great stories, so little time. Ada, that's very true - a newer story wouldn't have the same expectations built into it as some of the older ones. I hope you enjoy The Prince Who Loved Me. The cover is my favorite yet. My publisher did such a lovely, lovely job on it. bn, always a good one! And romantic from the get-go. I love stories of unrequited love answered. Janice, thank you so much! I'm honored to be an auto-buy. That's the greatest compliment a reader can give an author. As for Rumpelstiltskin, that's a fascinating way to look at that story. And it would work, too! Thanks to everyone who left comments today. What great ideas! Janice, I really like that Rumpelstiltskin idea! I always liked the Swan Princess. Laura, that's a great idea! I haven't thought of that fairytale in a long, long time. gemistress, very true - B&B is probably the most retold of all fairy tales, but then it's so good! I love Little Red Riding Hood. I actually used that in HOW TO PURSUE A PRINCESS, but ... now that so many of you have mention it, I'm wondering if it might be worth revisiting in a book or two. So many opportunities!!! Amy, it's the tried and true favorite, I think. Such a beautiful story. I really like desert princes so something with a sheikh! I am a BIG Beauty and the Beast fan, so would love the next book to be along those lines. However, there are many more that are less frequently done. A variation on the theme of Little Red Riding Hood would be interesting, as would Hansel and Gretel. The leaves are just now starting to turn here in NE TN. Apple Festival in Erwin and the National Storytelling Festival in Jonesborough should see a bit more color. The weather has been so crazy, we went from no color to some trees fully changed in a couple of days. It has been cooler, but will be in the 80's this weekend. We have gotten a bit dry which has in the past resulted in the leaves turning brown and dropping. Hope you get up to your parents' for a nice visit and get your fall color fix. A trip to Scotland has been a dream for a log time. My husband and I hope we can arrange one when he retires in the next year or so. I want to be able to stay for weeks and get to visit Ireland also. My husband has relatives in England (his dad was first generation) but doesn't know them. There is just so much history on those islands and so much to see. Wish we had been able to get there sooner. We loved to hike and there are some great trails there. Unfortunately, the knees are getting older and making it harder. Thank you for your good wishes! I have my fingers crossed it flies. The cover is amazing - the Pocket Art Department outdid themselves. I love it. Anon, oh, what an intriguing list! I hadn't thought of several of those, though I know the stories. Thank you for sharing! I'm adding them to the list. While I love Beauty and the Beast, it is very commonly used. After sleeping wrong last night, and waking up with a huge black and blue mark on my breast, what about the Princess and the Pea? I can't lay on folds of cloth or I have a bruise in that shape the next day. There may very well be a real reason why the princess was so uncomfortable. I will say that it makes my husband crazy, but he's stuck with me for 36 years, so obviously there are princes out there who would accommodate the problem. Beauty and the Beast, Ugly Duckling, and Cinderella are favorites of mine, but I haven't read any retellings of The Princess and the Pea. That particular fairy tale might be fun for you to write and for me to read!